IVCC was incorporated as a private limited company in August 1958 and is celebrating sixty years of successful running operations in 2018. It is a pioneer of the drilling industry in Pakistan. Starting from its first modest drilling contract, IVCC established an enviable reputation in the drilling industry of Pakistan in short span of five years. 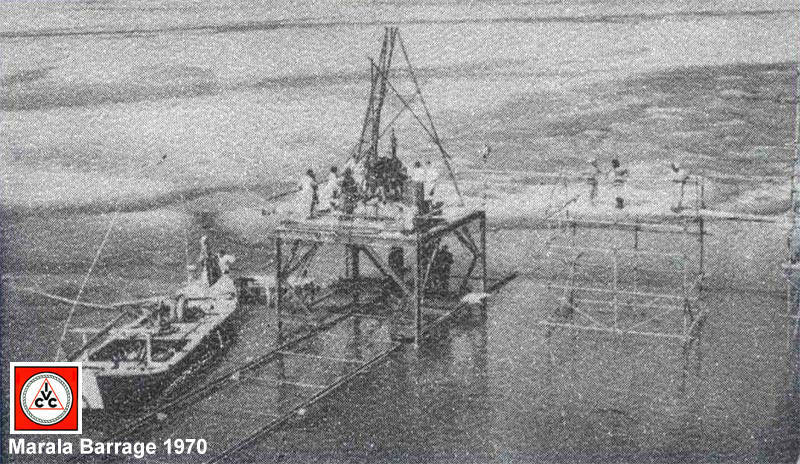 The early sixties saw the execution of the Indus Basin Replacement Projects in Pakistan. It had drilling assignments in every one of its major components. 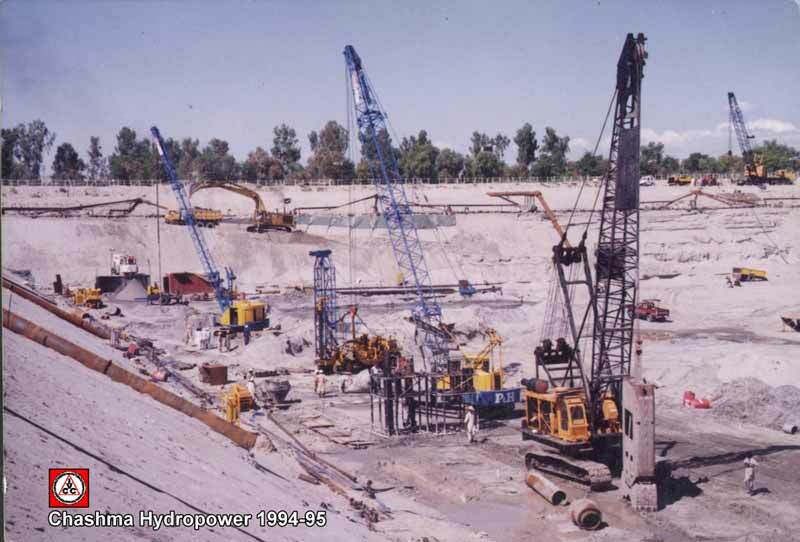 At Mangla and Tarbela Dams, IVCC carried out large volumes of drilling, site investigation, soil mechanics tests, grouting and other specialist works. The seventies were years of consolidation and saw the induction of a new generation of the founding family into the business. The first international contract was obtained. At home, the company was firmly established as an innovative organisation committed to providing the very latest in equipment and know how to its continuously expanding list of clients. The eighties and nineties have seen IVCC moving into other specialised fields and transforming its-self from a drilling company itno a specialist civil engineering company. In more recent times, considerable investments have been made in equipment and logistic resources coupled with computerisation and adoption of modern mangement concepts. This has placed IVCC in the ranks of international specialist companies of repute. The family’s third generation, educated and trained in the USA, is with IVCC and the company has entered the twenty first century with enthusiasm and confidence. To acquire a firm technical base and technology, IVCC was associated in its formative years with Messrs Geostrazivanja of Yugoslavia and Messrs Craelius A.B. of Sweden. Later, it entered into a long association with the Cementation Company Ltd., of U.K. 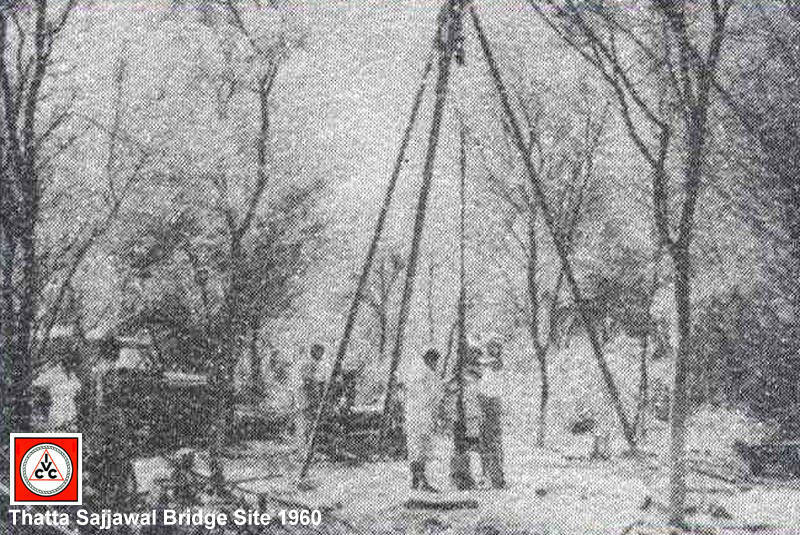 In 1974, the Cementation Company wound up business in Pakistan and transferred most of its equipment and staff to IVCC. IVCC’s experience of working with Chinese, American, Australian, British, Bulgarian, Canadian, Czechoslovakian, French, German, Italian, Japanese, Korean, Russian, Yugoslavian, and Pakistani consultants and contractors has given it professional insights into the latest international technology and a familiarity with the various international standards, codes of practice and specifications. In Pakistan, IVCC is registered as a Class “A” (No Limit) contractor with the Pakistan Engineering Council and all the important government agencies for all types of civil engineering works. Internationally, IVCC has executed contracts in Africa as well as remote regions of Asia. The management team at IVCC consists of top flight engineers and managers with vast technical and administrative experience. Its senior staff is well versed in modern business mangement techniques, holding diplomas in advanced management. Due to the specialized nature of its work, IVCC runs in-house training programmes for its lower and middle level technicians. On-the-job-training is imparted to apprentices who on successful completion of training are absorbed in the regular cadre. Rarely do trained apprentices leave the company’s service and the vast majority of technicians have been with IVCC for ten years or more.